2. Who can access these Universal Energies to write books on Spirituality? There are 3 types of Universal Energies that can be accessed to gain knowledge when it comes to writing a book on Spirituality. Depending on which type of energy is accessed there is a varying depth of spiritual insight available and a varying level of Divine consciousness (Chaitanya). While gaining knowledge on Spirituality at the level of Energy of will (Ichhā-shakti), one is able to access knowledge about the spiritual dimension by perceiving its attributes of form and colour. To understand this let’s take an example of a woman who is unable to get pregnant due to the spiritual reasons of an attack by a departed ancestor. Medical science may find an absence of apparent pathology. Sometimes a spiritual cause in such a case could also materialise as a physical cause such as a blocked fallopian tube or a fibroid in the uterus. Usually in such cases despite successful treatment of the apparent cause, the problem (i.e. inability to conceive) is not resolved. However medical science would not be able to provide any attributes of the cause of the problem at a spiritual level. Now let’s suppose that a person with advanced sixth sense being able to access Energy of will was investigating the woman’s case. They would be able to perceive the attack in the form of a dark cloud of distressing energy enveloping the woman’s womb (uterus). Thus the book would be able to give something closer to the real root cause. The deeper the extent of the knowledge about the cause, the higher the chances of resolving it. While writing on Spirituality at the level of Energy of action (Kriyā-shakti), one is able to comprehend the cause and effect of an occurrence. In the same example we have taken above, a person with advanced sixth sense who is able to access Energy of action would be able to perceive that the dark cloud of distressing energy had been caused by a departed ancestor. When spiritual knowledge is accessed at the level of Energy of knowledge (Dnyān-shakti), one is able to comprehend the spiritual science underlying the cause and effect of an occurrence. Here let’s again take the same example we used above. A person with advanced sixth sense being able to access Energy of knowledge would be able to give the reasons why the departed ancestor has attacked the woman. For example the underlying reason would be an unsettled give-and-take account between them. They would also be able give details such as the exact nature of the karmic account, when it began, which lifetime, how it can be resolved, etc. When a person is graced with sixth sense, he is able to access these Universal Energies. This sixth sense is due to spiritual practice undertaken in this birth or a previous birth. The Universal Energies are most effectively accessed at the following spiritual levels. The Energy of will begins to be accessed when a person is around the 50% spiritual level. A person accessing a higher Universal Energy can also access the lowers ones. 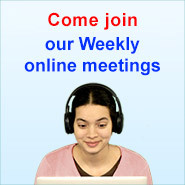 For example a person accessing Energy of action can also access Energy of will. The ability to access these Universal Energies becomes more and more important in writing books on Spirituality. As one is able to access higher Universal Energies one is able to access higher amounts of Divine consciousness. The more the Divine consciousness the more the book is able to communicate beyond the word level and thus influence and benefit the reader beyond the written text alone. Ordinary books are able to communicate only through words. When books are written by accessing the Universal Energies they are able to give spiritual experiences to the readers. These spiritual experiences are experiences such as spiritual emotion (bhāv), Bliss (Ānand), etc. 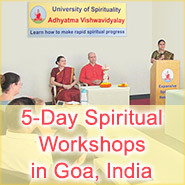 These experiences augment the reader’s faith in Spirituality and therefore expedites their spiritual journey. The following table describes the Divine consciousness associated with a book written by accessing various Universal Energies. It also gives the level at which the book is able to communicate Spirituality to the reader. A word of advice to authors of spiritual books: Even if one is able to access knowledge from the spiritual dimension, it is recommended that one writes books only under the guidance of an evolved spiritual guide or a Saint. This is because negative energies (ghosts, devils, demons, etc.) can negatively influence the knowledge received thereby reducing the spiritual effectiveness of the book. They usually do so by spreading distressing energy on the text of the knowledge received that can cause distress to the readers or by giving partly or fully incorrect information.